Playwright Qui Nguyen (who is himself a character in the play), subverts the expectations of your average theatre goer from top to bottom in this sharp script–from establishing the language of the play to firmly insisting at multiple points that though this is a story framed by war, it is not a war story. It’s a story, he tells us, about two people–who may or may not be his parents–who fell in love. Those two people are Quang, played with swagger by Matthew C. Yee–a helicopter pilot who was separated from his wife and children and shipped off to America after rescuing a helicopter full of people from Saigon as it fell; and Tong, performed with the explosive power any Chicago theatre fan has come to expect from Aurora Adachi-Winter–a U.S. Embassy worker who could only take her mother with her as she fled Vietnam, leaving her brother and her boyfriend behind. They meet at Fort Chaffee–a refugee camp in Texas, and hook up almost immediately. However it’s not until Quang faces the reality that he can’t go back to his family in Vietnam that their relationship has the opportunity to become serious. Adachi-Winter and Yee are by powerfully supported by a three-person ensemble who, in a Herculean feat of energy and talent play every other role in the story–framed by a gorgeous and creative costume design (Melissa Ng). The set design (Yu Shibagaki) lays the perfect canvas for one of the smartest projection designs I’ve been privileged to witness (Rasean Davonte Johnson). And choreographer Tommy Rapley should be very proud of somehow making a heartwarming rom-com style montage work on stage. The Vietnam War is a complex time in history– often misunderstood, stories of it frequently shrouded in the PTSD of those who lived in that time. But the need to clarify the varying perspectives on the war and the politics surrounding it is more present than ever. As of this week, The LA Times revealed that refugees from The Vietnam War are being deported despite a 1995 agreement between The United States and Vietnam–another sign of the current presidential administration’s war on refugees and migrants. But the war isn’t the point of Vietgone–the people are. Just as people, not politics, should be our focus as we consider how best to serve the refugees of today. 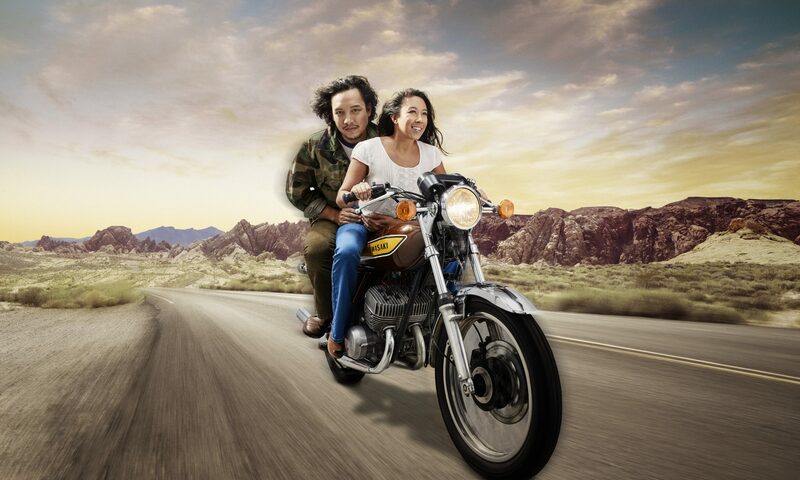 Vietgone is not a perfect show–the music in this production leaves some bite to be desired, and I walked away wishing the writer had dedicated as much of his time and affection towards understanding his mother as he had with his father. But ultimately Vietgone is Chicago theatre at it’s best; unafraid of complexity, tackling serious issues, with a bit of cheek.